(I obviously like to make cashew-based sauces!) There’s a ton of variations of veggie bowls out there, but sometimes, simplicity is the way to go. These fresh and delicious, gluten-free and soy-free bowls are easy to make and chances are, you already have the ingredients in your fridge, so chop chop! In a medium saucepan, combine the broth and quinoa. Bring to a boil, reduce heat to low and cover. Cook until all the liquid has been absorbed. Pile the kale on top and replace the lid. Let the kale steam for about 10 minutes, then stir it into the quinoa. To make the sauce, combine everything in a food processor and blend until smooth. I then transferred it to a squeeze bottle. Assemble the bowls by placing a scoop or two of the quinoa mix in a bowl and top with garbanzo beans, avocado, cherry tomatoes, pepitas, and sauce. It’s that easy. Enjoy! There's a ton of variations of veggie bowls out there, but sometimes, simplicity is the way to go. These fresh and delicious, gluten-free and soy-free bowls are easy to make and chances are, you already have the ingredients in your fridge, chop chop! In a medium saucepan, combine the broth and quinoa. Bring to a boil, reduce heat to low and cover. Cook until all the liquid has been absorbed. Pile the kale on top and replace the lid. Let the kale steam for about 10 minutes, then stir it into the quinoa. To make the sauce, combine everything in a food processor and blend until smooth. I then transferred it to a squeeze bottle. Assemble the bowls by placing a scoop or two of the quinoa mix in a bowl and top with garbanzo beans, avocado, cherry tomatoes, pepitas, and sauce. It's that easy. Enjoy! These veggie burgers are quite amazing. They’re easy to make, delicious, and they actually hold together when you cook them—that’s not always an easy thing when making veggie burgers. I got the recipe from Thrive Forward and I’ve had them a couple of times now. I’ve made some subtle variations and added the teriyaki-pineapple-avocado part, which I think you will love. Pineapple rings, jarred Teriyaki sauce, avocado slices. Veggie bacon is also a great option. I start by mixing the chia seeds and water together and setting aside. Cook the quinoa (1/2 C quinoa with 1-1/4 C broth). In a food processor, add the beans, onion, cilantro, garlic, salt, chili powder, cumin, and black pepper. I didn’t mince the garlic beforehand; it’s up to you. Blend everything to the consistency you’d like. If you want some chunks, go for it. Of course, you may not want to bite into a piece of garlic, so you may want to mince it first. You decide how much you want to blend it. I went for it and mostly pureed it. 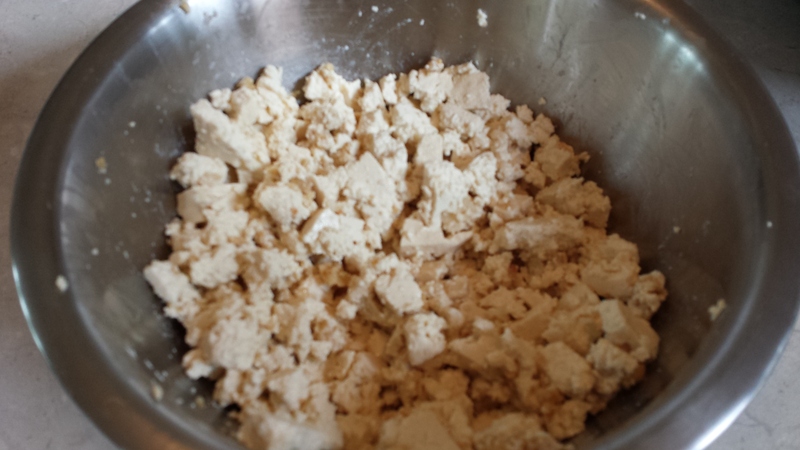 Transfer to a bowl and fold in the quinoa, oats, and chia mixture. Shape the batter into patties. You could make beefy burgers or even some sliders. I went for the beefy kind (about 4″ across, 3/4″ thick). I actually got 5 burgers, but only had room for 4 on the pan. Again, you get to make the executive decision on this. Much will probably depend on how large or small of buns you use. Feel free to use a grill pan, too. Last time I made these, I used my grill pan and they came out great with fancy grill marks and all. I should add that you’ll need to spray the pan first with cooking spray. I should also tell you that I typically chill these in the fridge for at least 30 minutes before cooking them. I don’t know if it helps keep them together or not, but it just so happens that each time I’ve made these, I’ve prepared them ahead of time. Just cover with plastic wrap first. When you’re ready, cook them over low-medium heat for about 5-6 minutes per side. Serve on a toasted bun with a ring of pineapple, avocado slices, and some Teriyaki sauce. Enjoy! These veggie burgers are quite amazing. They're easy to make, delicious, and they actually hold together when you cook them---that's not always an easy thing when making veggie burgers. I got the recipe from Thrive Forward and I've had them a couple of times now. I've made some subtle variations and added the teriyaki-pineapple-avocado part, which I think you will love. I start by mixing the chia seeds and water together and setting aside. 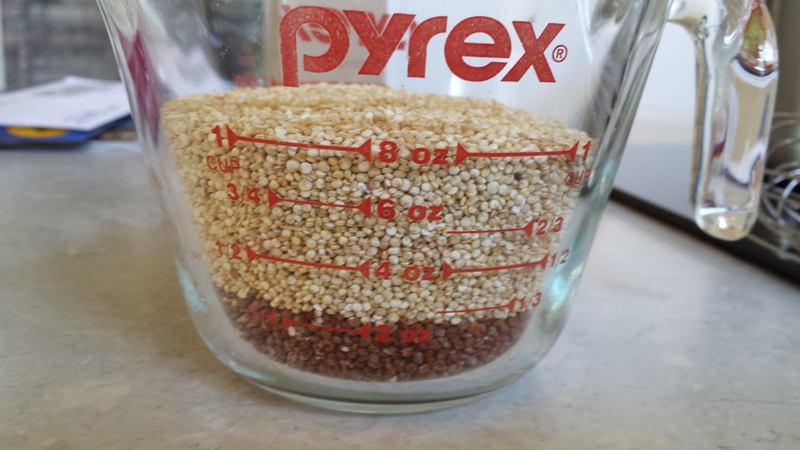 Cook the quinoa (1/2 C quinoa with 1-1/4 C broth). In a food processor, add the beans, onion, cilantro, garlic, salt, chili powder, cumin, and black pepper. I didn't mince the garlic beforehand; it's up to you. Blend everything to the consistency you'd like. If you want some chunks, go for it. Of course, you may not want to bite into a piece of garlic, so you may want to mince it first. You decide how much you want to blend it. I went for it and mostly pureed it. Transfer to a bowl and fold in the quinoa, oats, and chia mixture. Shape the batter into patties. You could make beefy burgers or even some sliders. I went for the beefy kind (about 4" across, ¾" thick). I actually got 5 burgers, but only had room for 4 on the pan. Again, you get to make the executive decision on this. Much will probably depend on how large or small of buns you use. Feel free to use a grill pan, too. Last time I made these, I used my grill pan and they came out great with fancy grill marks and all. I should add that you'll need to spray the pan first with cooking spray. I should also tell you that I typically chill these in the fridge for at least 30 minutes before cooking them. I don't know if it helps keep them together or not, but it just so happens that each time I've made these, I've prepared them ahead of time. Just cover with plastic wrap first. When you're ready, cook them over low-medium heat for about 5-6 minutes per side. Well, let’s see if I can still do this; it’s been a while. Sorry for the absence, but I think I’m getting back into the swing of things. Our kitchen counter tops are supposed to arrive today . . . just when I was getting used to the plywood stand-in! I bring you this easy and delicious, gluten-free meal that’s ready in no time. Speaking of stand-ins, quinoa is a great alternative to rice. It’s a nice change, plus it’s an excellent source of protein. The avocado is also a nice touch, contrasting well with the crunchy cashews. In a medium saucepan, combine the broth and quinoa and bring to a boil. Reduce heat to low, cover, and cook for 15-20 minutes. Meanwhile, heat the olive oil and garlic over medium heat for 1 minute. Add the bell pepper, onion, and celery; cook 8-10 minutes, or until softened. Next, add the zucchini and cook for 4-5 minutes, then add the mushrooms. Cook for 3-5 minutes. In a small bowl or measuring cup, whisk together the tamari, lime juice, sesame oil, and ginger; set aside. 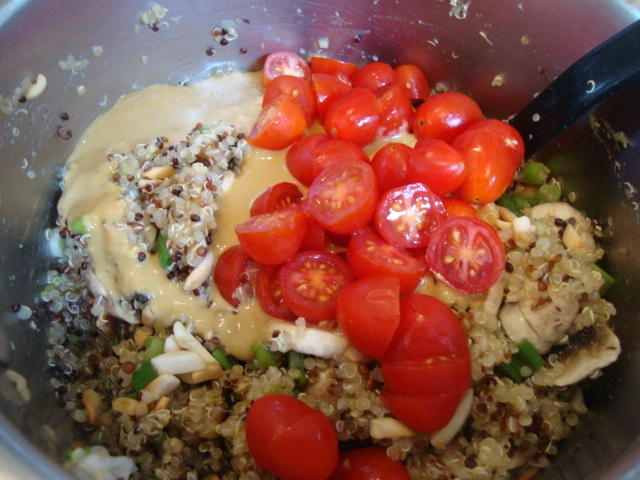 Once the quinoa is cooked, add it to the cooked veggies, along with the cashews. 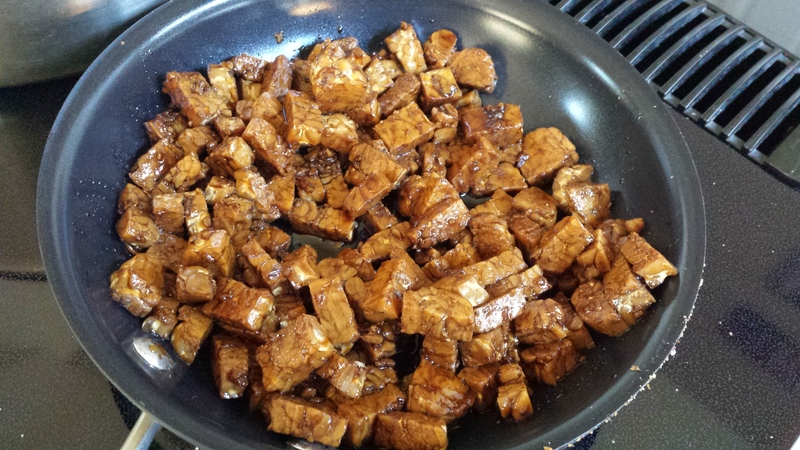 Reduce heat to low and stir in the tamari mixture, combining everything thoroughly. Top individual servings with avocado and enjoy! I bring you this easy and delicious, gluten-free meal that's ready in no time. Speaking of stand-ins, quinoa is a great alternative to rice. It's a nice change, plus it's an excellent source of protein. The avocado is also a nice touch, contrasting well with the crunchy cashews. In a medium saucepan, combine the broth and quinoa and bring to a boil. Reduce heat to low, cover, and cook for 15-20 minutes. Meanwhile, heat the olive oil and garlic over medium heat for 1 minute. Add the bell pepper, onion, and celery; cook 8-10 minutes, or until softened. In a small bowl or measuring cup, whisk together the tamari, lime juice, sesame oil, and ginger; set aside. Once the quinoa is cooked, add it to the cooked veggies, along with the cashews. 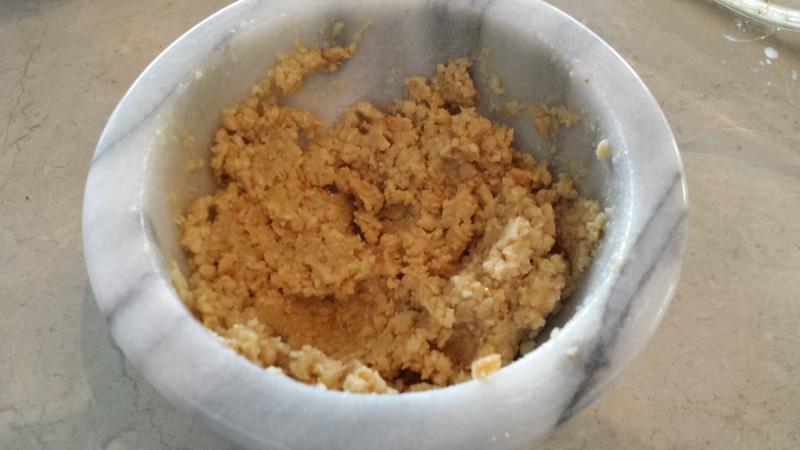 Reduce heat to low and stir in the tamari mixture, combining everything thoroughly. This has been a favorite at our house for some time now. I found the original recipe on Pinterest, but have just tweaked it a little here and there. I also double the recipe because it makes great leftovers. I like to serve this with some tortilla chips, cilantro, avocado and vegan sour cream, but we’ve also been known to scoop it into a warm flour or corn tortilla with all fixins’ like tomato, cilantro, avocado, etc. It’s so easy to make; just toss in a slow cooker and it’s ready in about 3 hours. (And it’s gluten-free!) You can sub in any other kind of bean, such as kidney or chili beans, but I also think some lentils would be perfect too. And why not throw in a diced red bell pepper? The possibilities are endless! Combine the beans, broth, quinoa, salsa, bay leaves, cumin, salt, and garlic powder in a slow cooker. Cook on HIGH for 3 to 3-1/2 hours. If you can, stir it around once or twice. Once done, stir in the lime zest and juice. Season individual servings with pepper and top with avocado, cilantro and sour cream. Enjoy with tortilla chips. This has been a favorite at our house for some time now. I found the original recipe on Pinterest, but have just tweaked it a little here and there. I also double the recipe because it makes great leftovers. I like to serve this with some tortilla chips, cilantro, avocado and vegan sour cream, but we've also been known to scoop it into a warm flour or corn tortilla with all fixins' like tomato, cilantro, avocado, etc. It's so easy to make; just toss in a slow cooker and it's ready in about 3 hours. (And it's gluten-free!) You can sub in any other kind of bean, such as kidney or chili beans, but I also think some lentils would be perfect too. And why not throw in a diced red bell pepper? The possibilities are endless! Combine the beans, broth, quinoa, salsa, bay leaves, cumin, salt, and garlic powder in a slow cooker. Cook on HIGH for 3 to 3-1/2 hours. If you can, stir it around once or twice. Once done, stir in the lime zest and juice. Season individual servings with pepper and top with avocado, cilantro and sour cream. Enjoy with tortilla chips. I recommend making the dressing first. It’ll be a little runny, but letting it sit for 20 minutes or so, will allow the chia seeds to do their thing and thicken up the dressing. 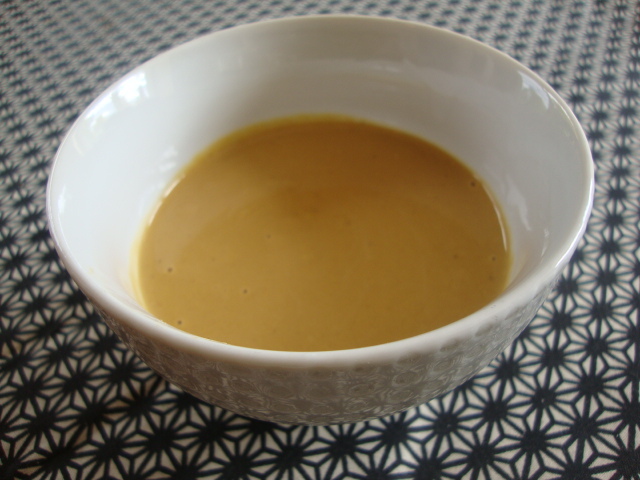 In a food processor or blender, combine all of the dressing ingredients and blend until smooth. Set aside. In a large soup pot, combine the broth (or water) with the quinoa. Bring to a boil, then reduce heat to low. Cover, and cook for about 20-25 minutes, or until all of the liquid has been absorbed. Meanwhile, heat the olive oil and garlic in a large skillet. Add the red and green onions. Saute until softened and a tiny bit browned. Add the kale and mushrooms and saute until the the kale is bright green, about 5 minutes. Fold the veggies and pepitas into the cooked quinoa. I placed a little dressing inside the pita, along with a slice or two of avocado, then added the filling, and topped with some more dressing. Enjoy! I recommend making the dressing first. It'll be a little runny, but letting it sit for 20 minutes or so, will allow the chia seeds to do their thing and thicken up the dressing. In a food processor or blender, combine all of the dressing ingredients and blend until smooth. Set aside. 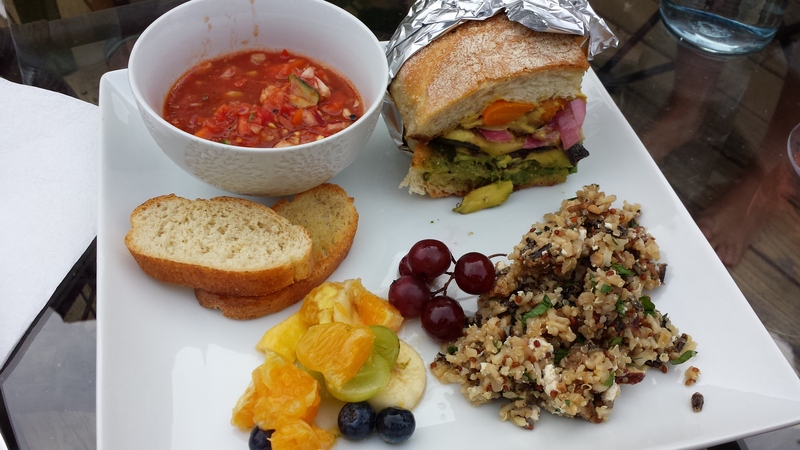 Quinoa is such a fantastic lunch option. It’s packed with protein and it can be made so many different ways, that it’s pretty hard to get bored with it. 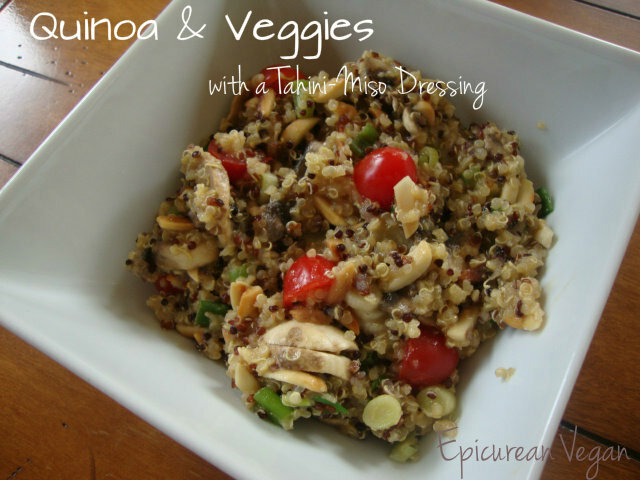 I wanted a light dressing for this and came up with this tangy tahini-miso goodness. I also love adding nuts for a bit of crunch to these types of dishes, so I threw in some toasted almond slivers. Delish! Rinse the quinoa in fine mesh strainer with cold water. Combine it with the broth (or water) in a medium saucepan and bring to a boil. 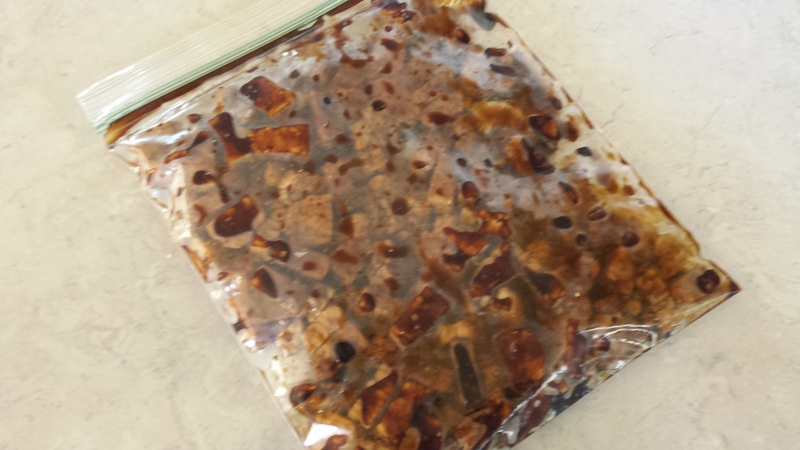 Reduce heat to low, cover, and cook until there is just a little bit of water left, about 12-15 minutes. Add the mushrooms and green onions, but don’t combine—cover and let the veggies steam 3-4 minutes. For the dressing, whisk all of the ingredients together until smooth. 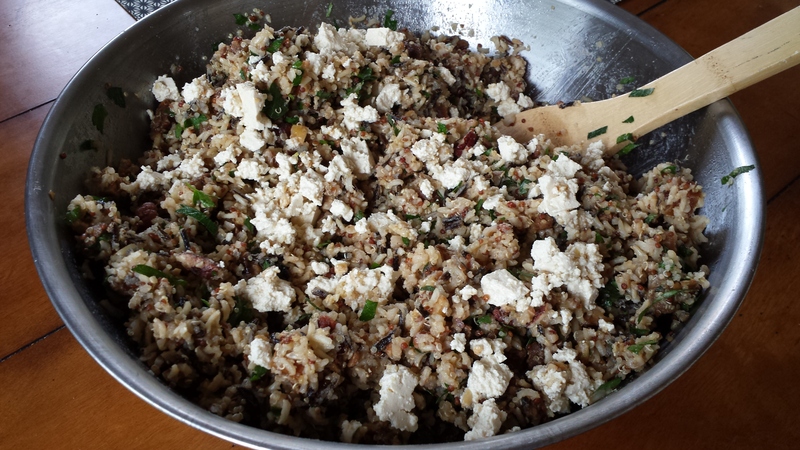 Once the mushrooms have softened, stir them into the quinoa. Add the tomatoes, nuts and dressing. I recommend adding a little dressing at a time in case you don’t want it all. I had a little left over. Gently fold and combine everything. Enjoy! Quinoa is such a fantastic lunch option. It's packed with protein and it can be made so many different ways, that it's pretty hard to get bored with it. I wanted a light dressing for this and came up with this tangy tahini-miso goodness. I also love adding nuts for a bit of crunch to these types of dishes, so I threw in some toasted almond slivers. Delish! Rinse the quinoa in fine mesh strainer with cold water. Combine it with the broth (or water) in a medium saucepan and bring to a boil. Reduce heat to low, cover, and cook until there is just a little bit of water left, about 12-15 minutes. 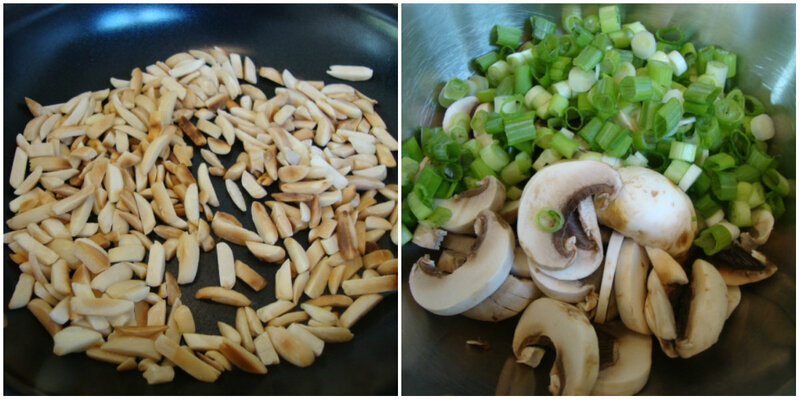 Add the mushrooms and green onions, but don't combine---cover and let the veggies steam 3-4 minutes. For the dressing, whisk all of the ingredients together until smooth. 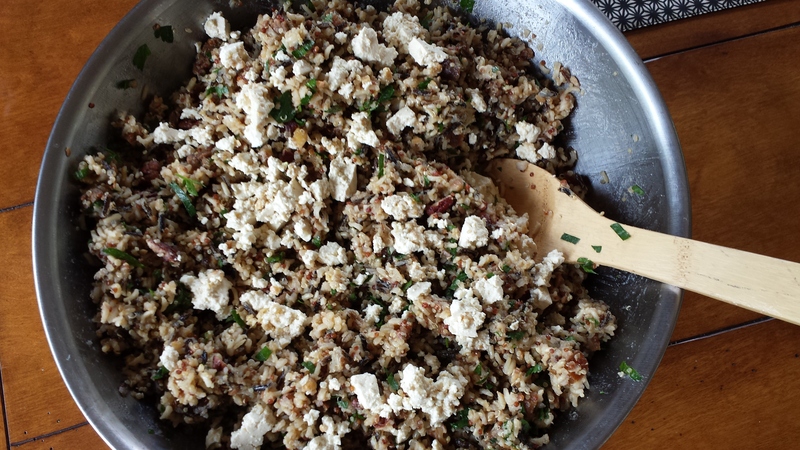 Once the mushrooms have softened, stir them into the quinoa. Add the tomatoes, nuts and dressing. I recommend adding a little dressing at a time in case you don't want it all. I had a little left over. The next time someone asks you, “Where do you get your protein?” you can (politely) point out this dish as one of numerous options. 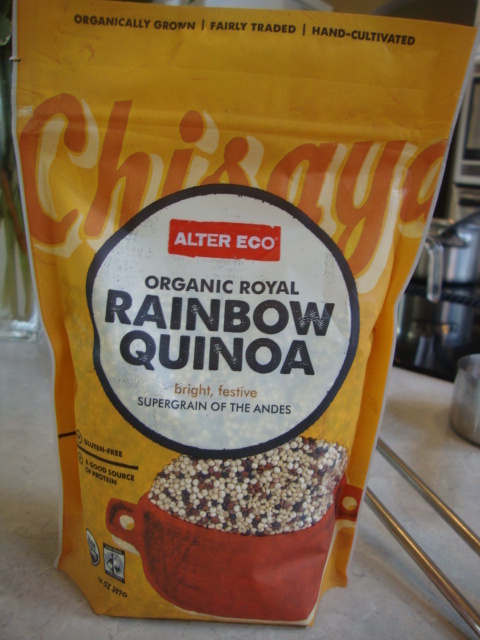 Quinoa is a complete protein, meaning it contains all 9 amino acids essential to human health. It offers up roughly 8 grams of protein per cup and also passes along calcium, iron, folate, manganese, and other vitamins. Black beans also carry nearly 15 grams of protein per cup, so add some veggies and you have healthy lunch! In a medium sauce pan, whisk together the bouillon and water; bring to a boil. Stir in the quinoa, cover and cook on low for 15-20 minutes. 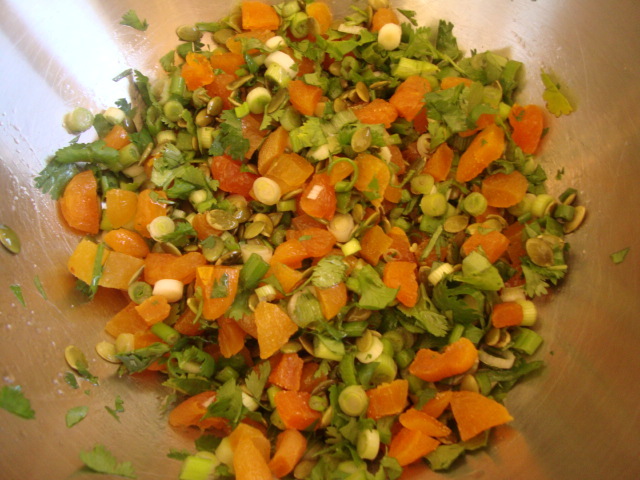 Meanwhile, in a large bowl, combine the cilantro, green onion, apricots, pepita seeds, salt, lime juice, red wine vinegar, and olive oil. 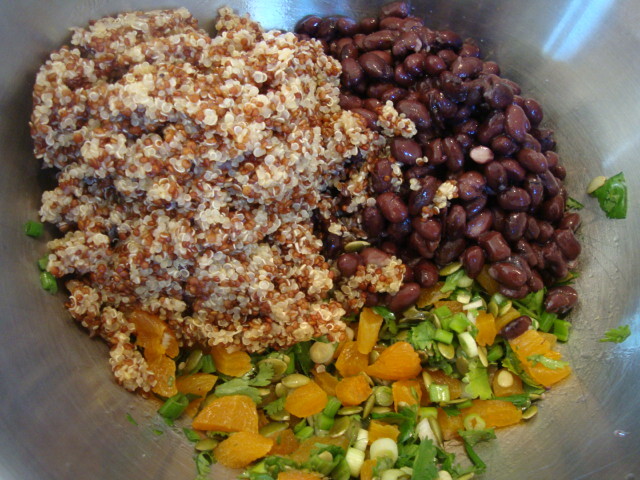 Once the quinoa is finished, add it, along with the black beans to the bowl. The next time someone asks you, "Where do you get your protein?" you can (politely) point out this dish as one of numerous options. 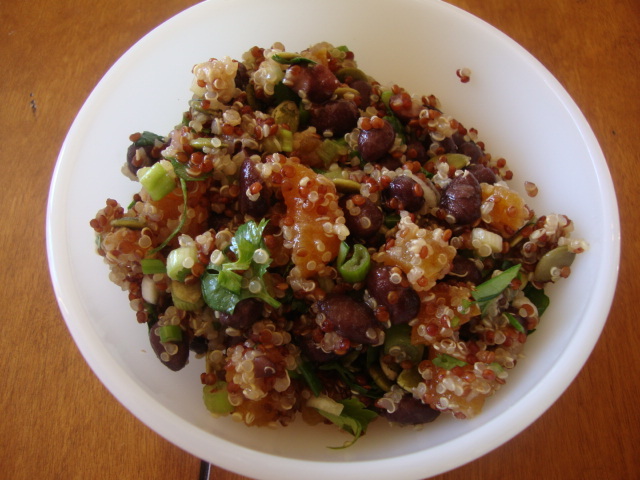 Quinoa is a complete protein, meaning it contains all 9 amino acids essential to human health. It offers up roughly 8 grams of protein per cup and also passes along calcium, iron, folate, manganese, and other vitamins. Black beans also carry nearly 15 grams of protein per cup, so add some veggies and you have healthy lunch!